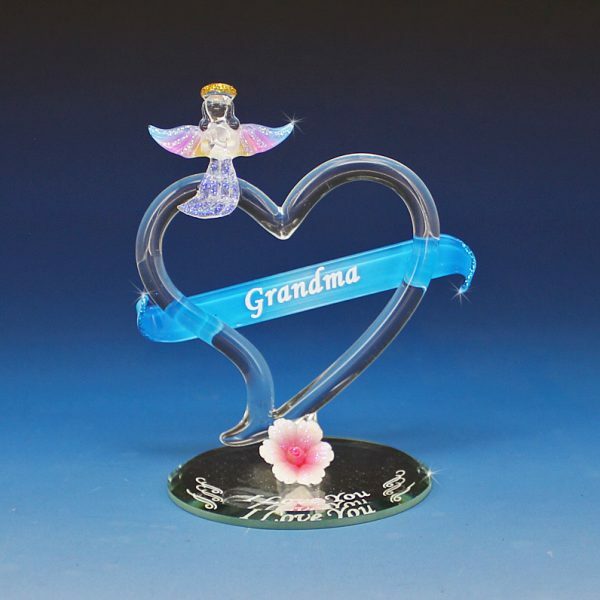 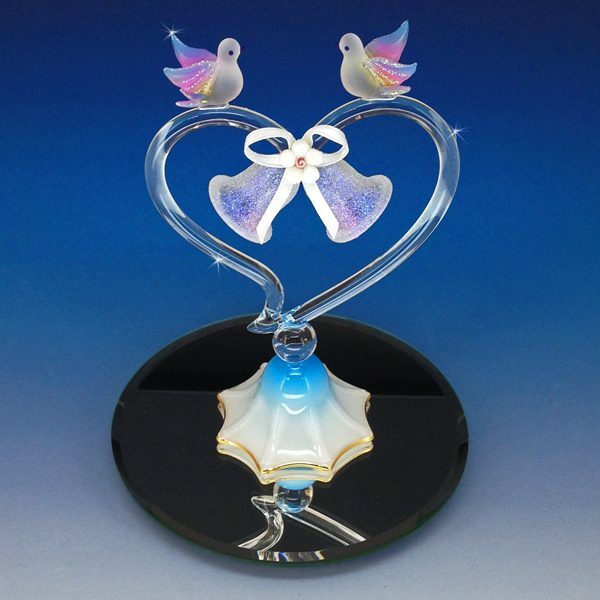 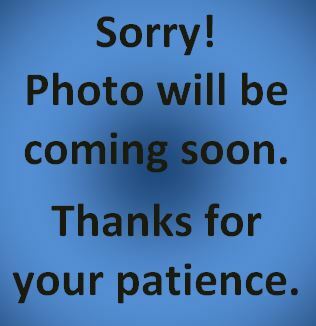 View cart ““Daisy Bug” Hand Blown Glass Figurine” has been added to your cart. 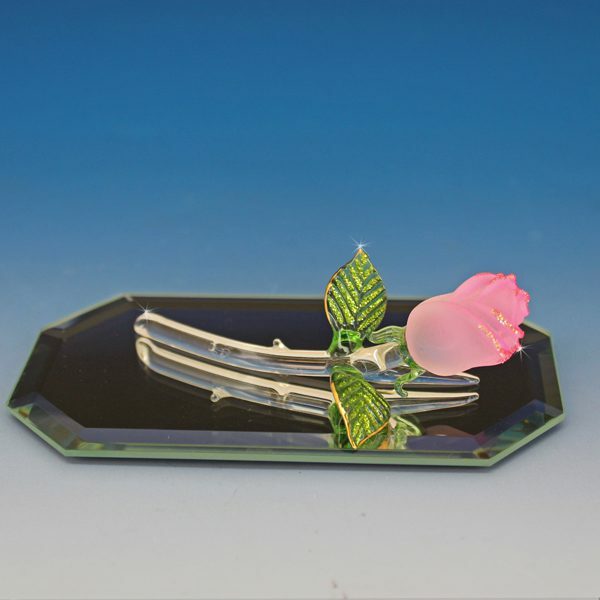 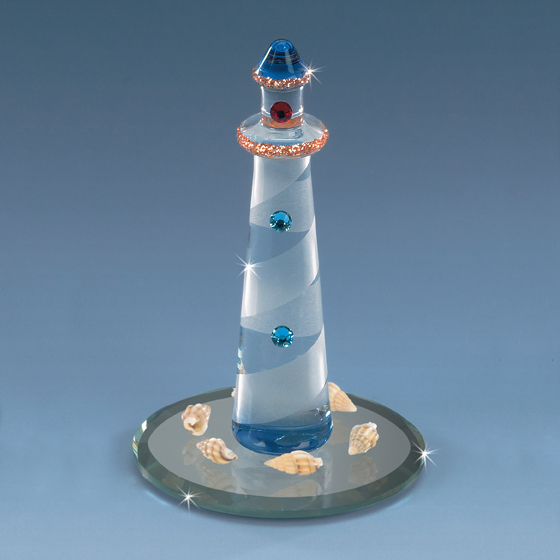 Daisy Bug features a hand blown glass flower stem with a sunflower atop. 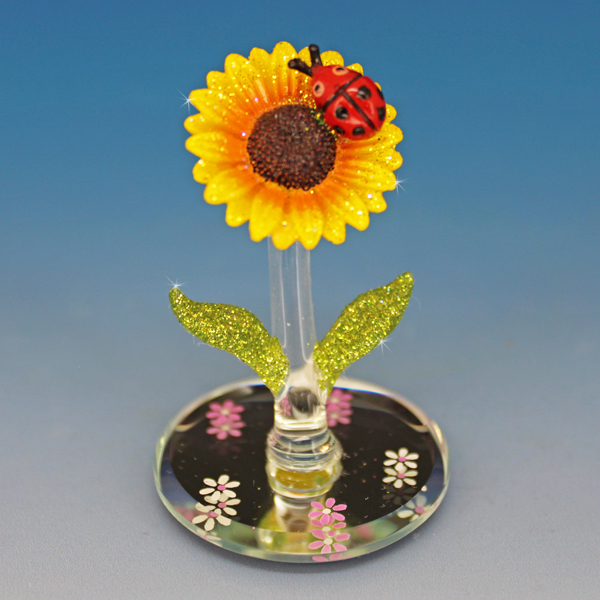 This sunflower has a tiny ladybug attached to it and is mounted to a 2″ mirror with flowery decoration.